The priciest Manhattan home to hit the market this week is a condominium unit at 350 West Broadway, according to Streeteasy.com. The full-floor home, designed by William Georgis, has a listing price of $26 million and is being marketed by the Corcoran Group. The second most expensive home to come online this week is an 11-room co-op at 812 Fifth Avenue. The four-bedroom, five-bath unit has an asking price of $13.5 million, and is being listed by Brenda Powers of Brown Harris Stevens. The third priciest new listing this week is a three-bedroom, four-bath co-op at 930 Fifth Avenue. Unit number 3 C/D has an asking price of $7.2 million and is being marketed by Anne Corey from the Corcoran Group. The cheapest Manhattan unit to become available this week is a studio co-op at the Whitby at 325 West 45th Street, according to Streeteasy.com. The listing for the apartment, which has a $205,000 asking price, is being marketed by Goido Pompilj of Vivaldi Real Estate. The second least expensive home is a 10th floor studio at 457 West 57th Street with an asking price of $265,000. 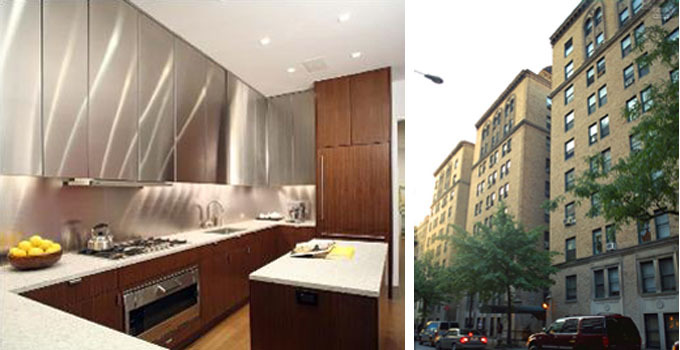 Apartment 1015, a co-op unit, has a separate kitchen and is being listed by Martha Sussman of the Corcoran Group. The third cheapest home to hit the market this week is unit 4C at 415 East 82nd Street in Yorkville. The one-bedroom, one-bath apartment is being marketed by Leslie Rosenthal of Warburg Realty, with an asking price of $295,000.